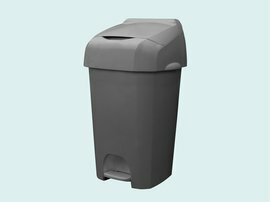 TWC Group provide nappy bins from 26L up to 1100L. We offer all new clients a free site survey ahead of installing your nappy bins and scheduling your collections. It's important to cleaqrly understand your requirements so that the right size of bin is used alongside the right frequency of collections. We help our customers save money by reducing their costs on nappy bins, recommending in most cases that an external nappy bin is used in addition to an internal bin so that you can empty it as often as you need to and at times that are convenient for you. Our collection service will remove the external bin waste on a convenient and pre-arranged basis to suit your needs. This can range from twice a week through to just once or twice a month. Our experienced team of washroom and waste disposal experts are on hand to offer you free advice and guidance so just give us a call with any questions you may have. Your nappy waste disposal service provider. We provide our full range of nappy waste disposal services across the whole of North Yorkshire, East Yorkshire, West Yorkshire and South Yorkshire, operating out of our locally based depots situated in Hull and Thirsk. Our nappy waste disposal in North Lincolnshire include our full offering and covers locations such as Scunthorpe, Grimsby, Brigg, Barton-upon-Humber and all the surrounding towns and villages across the Humber region. The nappy waste disposal detailed are available to customers located in the North East region, including cities such as Middlesbrough, Durham, Sunderland, Newcastle, Gateshead and all of the nearby towns and villages.